Just last week we highlighted Dr. Romanelli’s latest collaboration with HEAD PORTER on their “Army vs Navy” One-Off Bag Collection, and this week the Los Angeles designer returns with his second collaboration with Bamford Watch Department. 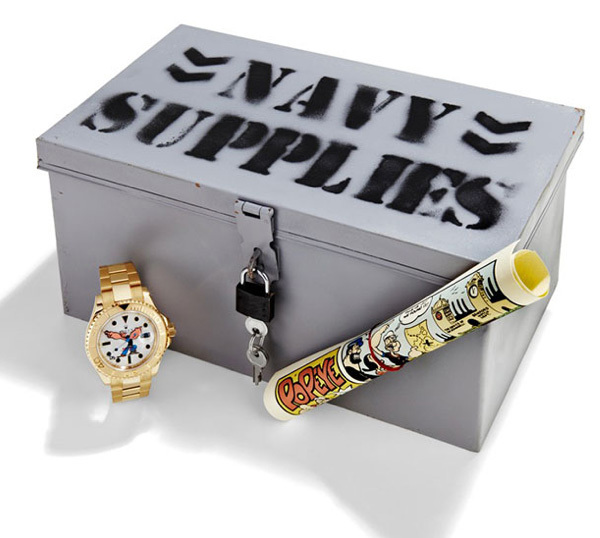 Also playing on the “Army vs Navy”, the limited edition SE Gold “Popeye” watch is built on a yellow gold Rolex Yachtmaster — as opposed to the black Rolex from their collaboration last year. 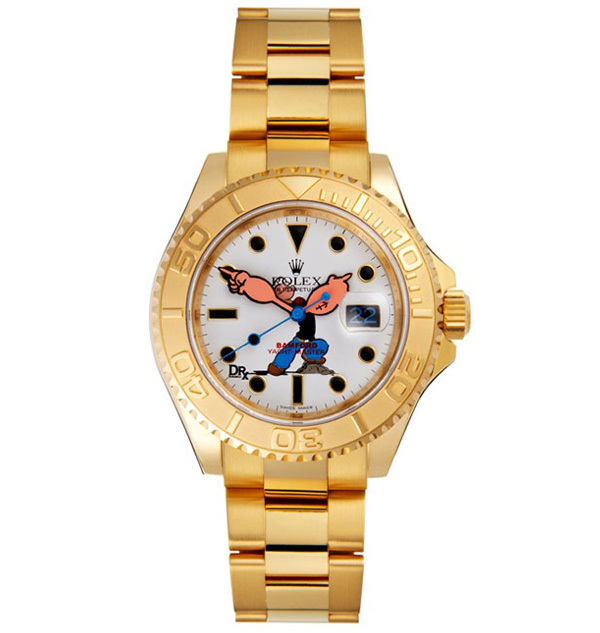 As the name implies, the famed Rolex includes a unique dial that looks like Popeye on a white face. 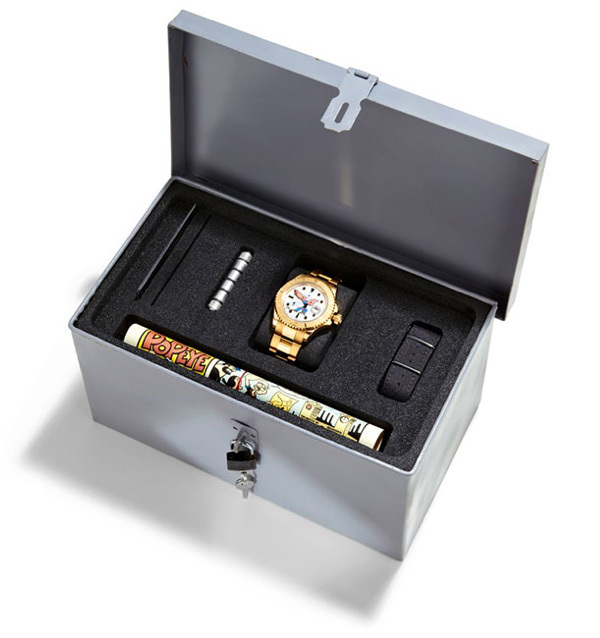 It’s packaged in a old school Army replica lockbox, and will be limited to only 10 pieces.